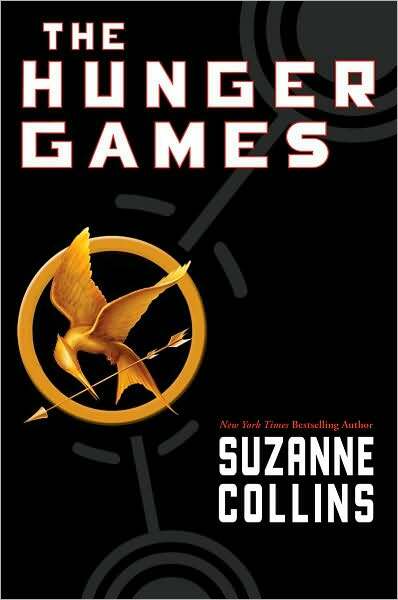 If you are looking for a novel to teach in your middle or high school classroom, I highly recommend you try The Hunger Games by Suzanne Collins. I began teaching it to a group of reluctant readers (mostly boys) in my general/remedial English I class in the fall of 2009. The majority of the class bragged that they hated to read and pretty much faked it all through middle school. As teachers, we all know these kids are out there; they are usually the ones staring out the window or bouncing in their seats because the words on the page are the last thing they want to be looking at. I knew it would be a long year if I didn't find something that I could "hook" them with right away. Usually I entice the group with a hero unit pairing Homer's The Odyssey with the "Star Wars" saga. But these kids had no interest whatsoever in "Star Wars," let alone The Odyssey. My mention of our Sherlock Holmes Mystery unit sent me looks of boredom. We read "The Most Dangerous Game" by Richard Connell, which, normally, kids love. It was OK, but not enough hunting, they said. It had only been a little over a week into school and I was already scrambling for something to engage these kids. What on earth was I going to do the rest of the year? That weekend I went home dreading the daunting task of coming up with new lessons for The Odyssey. I knew I would have to have a lot of hands-on activities because these boys could barely stay seated for five minutes at a time. So I did what I tend to do when I am faced with a challenging task...I procrastinate! I decided it was time I lost myself in a good book and went to my stack of summer purchases from Amazon that were waiting patiently on my night stand to be read. Toward the bottom was a book I bought after reading Stephen King's review of it in Entertainment Weekly. But when it came, I was busily reading Stephenie Meyer's Twilight series; a dystopian novel about a female hunter who competes in some game had nothing over Edward and Jacob...or so I thought. Then it hit me...the narrator is a hunter. If anything, I thought, maybe I can try to relate to these boys by looking at things from this hunter's perspective. It took about five pages, then I was hooked. I could not put The Hunger Games down. The more I read, the more I kept thinking how perfect it would be for my class. 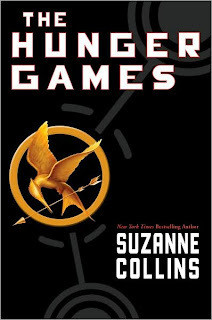 I finished it the next day and quickly logged on to my Amazon account and pre-ordered Catching Fire. Then I started thinking of all the great activities I could do with my class: a class reaping, survival games, and skills training stations (where they would teach the class various skills such as creating snares and traps, archery, knot-tying, and even, perhaps, martial arts). The possibilities seemed endless. And the learning opportunities were (and still are) innumerable, as well. The novel is rich with figurative language, easily creating teaching moments using metaphors, similes, personification, hyperbole, symbolism, idioms, and so much more. Even though it is set in the future, the students could connect similarities in the novel to the past and present. We had rich discussions about government control and terms such as desensitization. The most amazing aspect of this unit was that my students were eager to come to class, and while we were reading the novel (which we read out loud in class), they were focused, seated, engaged. They begged each day to read. They loved the activities. They did not mind the tests or quizzes or vocabulary work. They fell in love with Katniss's story. And, most importantly, they realized that reading truly could be an enjoyable activity. I am also a high school English teacher, and I just finished reading The Hunger Games last night. Wow - what a great book for teens! Friendship, coming of age, courage, racism, government control, censorship...the list goes on. There is so much to talk about with students. I am going to add this book to my To A Kill A Mockingbird unit. Come on...Mockingbirds and Mockingjays...it's almost as if Harper Lee and Suzanne Collins are begging me to compare and contrast these novels with my kids! I have some reluctant readers that I expect will really enjoy the novel. Thanks, Andrew! I also teach To Kill a Mockingbird & agree that they make a great comparison! :) I think your students will love it. You must read the other two books, as well. There are so many comparisons that can be made to TKaM, Tragedy of Julius Caesar, and any anti-war/WWII novel. Even though TKaM is still my all-time fave, this series is a close second! I'm an education major at Michigan State University. I read the first Hunger Games in my Children and Adolescent Literature course and while we discussed how to implement a lesson around the book, I'm glad to see it working in actual practice! I am really impressed by this entire blog. Great work! Thanks so much, Kait! What a great book to read in that class. I remember reading The Hobbitt and Killing Mr. Griffin in my Children's/YA Lit class in college, and while I love those two books, they don't even compare to The Hunger Games. :) I'm glad you found my site & wish you the best of luck in your teaching career! Thanks for the feedback. I will be teaching THG to seventh graders after Christmas break. I just purchased your CD and can't wait to get it. I'm very excited about the unit. However, I have a group of parents that have started a campaign to ban the book from my classroom. My principal and super are supporting me as long as I offer an alternative book for those that feel the book is inappropriate. Those students will have to go in the hall and read The Giver as a sort of independent study group. I hate this alternative because the students will miss out on so much. I think that I can incorporate them in through a comparison of the plot lines. Some parents are still trying to decide if they will allow their students to read with the class. So far, they cannot see past the violence, which makes no sense at all. We are reading The Outsiders, which has gang violence and murder. Those are kids killing kids. There have been no complaints about The Outsiders. I would like to compile a very strong rationale for teaching the book. Can you suggest more than what you have listed above? I am a first year reading teacher, and this is a little overwhelming to be honest with you. This has more specific arguments that address the violence issue. I truly feel for you. I am glad your superintendent & principal are supporting you. If those parents would read the book, they might think very differently. I have to say it's hypocritical to oppose The Hunger Games and not The Outsiders, which has just as much violence, and even has language/alcohol abuse by minors. That will be your strongest defense, in my opinion. If they didn't oppose The Outsiders, they shouldn't oppose The Hunger Games. Also, ask your history/social studies teachers if they skip teaching war because it is too violent. I am going to guess their answer is "No". Our history is filled with violence; it's human nature. Sheltering children from these truths is not the answer. Educating them on how to resolve our differences peacefully is. But we can't truly educate them without showing the awful consequences of the bad behavior/bad decisions. That's how they learn! I wish you the best of luck! Let me know how it turns out. More FREE Lessons and 10% OFF All Week! And Another FREE 10 Downloads!